In stock 63 items in stock. I noticed that as well but since this hasn't been answered in 3 years I doubt it will be at all. 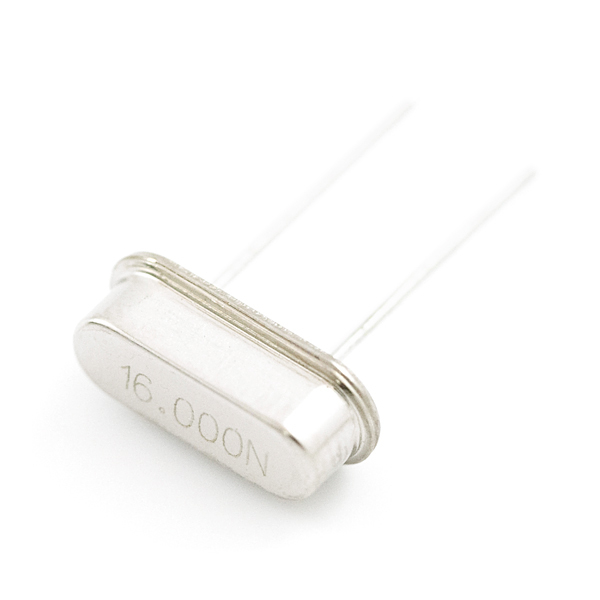 Putting a crystal in parallel with the feedback resistor creates a path where signals at a certain frequency are phase-shifted 180 degrees. Adding that to the inversion (equivalent to another 180 degree phase shift) gives you a 360 degree shift. That turns the negative feedback to positive feedback for that specific frequency. Positive feedback makes signals increase exponentially until they hit the inverter's gain limits. This is not at all what that resistor is for. The phase shift arises from a single capacitor in the feedback path of the oscillatory circuit. The second capacitor exists for reasons relating to RF reflection that I will admit I do not understand enough to explain. The feedback resistor is in place for biasing the internal amplifier. The circuit is inherently unstable and will oscillate. Wow! I just did the math... it comes out to about +/- 3.12ps (for +/-50ppm)! That's 3 trillionths of a second. And for comparison: light can travel ~1mm in that time. Wow! My jaw just dropped to the floor. Best crystal to use with a ATMega 328. Is there a datasheet for this? 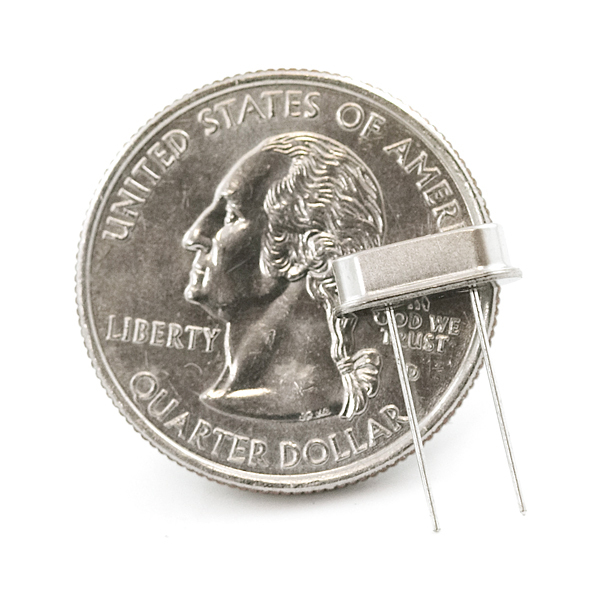 Is the load capacitance of this Crystal 20pF? If so, wouldn't it need 2, 30pF, caps, rather than the 22pF that people are recommending? What type of output do these have? I need a square wave oscillator with 50% duty cycle. Would I need an inverter circuit with this crystal to accomplish this? Other implementation? You need a crystal oscillator circuit to work with these. Most microcotrollers already have the circuitry in them, they just need the eternal crystal to set the timing. My question is: which part is right in Eagle file? HC49US or HC49U-V? Thanks. BTW, I've used this on my arduino breadboard version. Perfect! I used 22pF capacitors for it. Never mind. It says HC49/US in description. Where did you find the HC49/US in Eagle? I can't find it at all. I see HC49/S and HC49U but they are different. Search for that exactly HC49US it is in the sparkfun eagle footprint library. The datasheet doesn't specify marking codes, so we don't know. It may be a date code, temperature rating, etc. I found this but was it the right one? 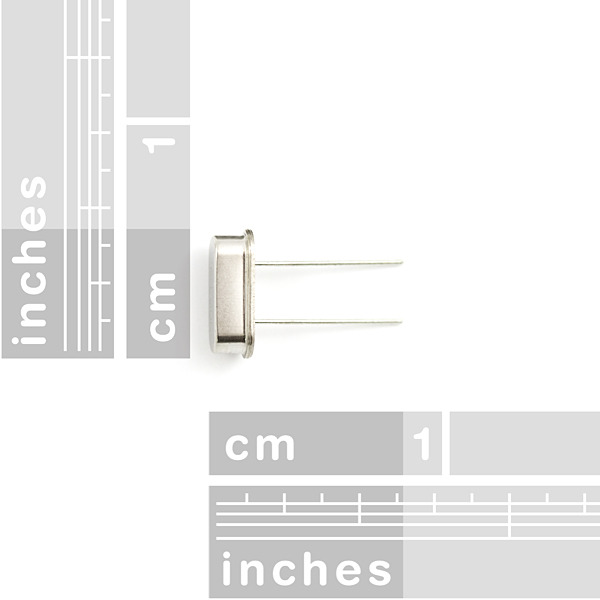 But a datasheet would be nice, anybody know where to find it? Do these come with the matching capacitors? If not, do you sell them separately? I looked around but couldn't find them..
A bit late, but you have to buy the 22pf load caps separately. what is the load capacitance?